First of all, we have to thank App Inventor Team for building that incredible paltform. Without them, Kodular would have never existed. App Inventor starter its development at Google on 2007, until 2010 when it was moved to MIT. Maria Viña Lopez: Former CMO, Maria helped us launching Kodular to the world, promoting us on social networks, presenting Kodular on several fairs and more. 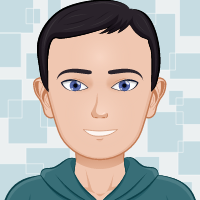 Peter Mathijssen: Power User in App Inventor forum, moderator in our community... Peter is a really active person in App Inventor world, that's why he is also a moderator in our community. Kleyber Derick: Since the beggining of Kodular, Kleyber has been supporting and helping us making it bigger. That's only one reason from the large list we have.